Keep a smile on your friend's face all day! 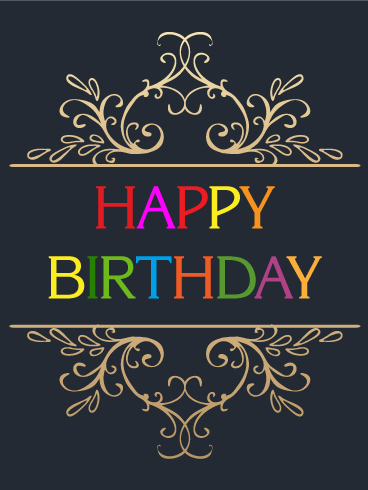 This birthday card is colorful and happy, ready to party at a moment's notice. Your friend deserves a day full of joy, the perfect party, and nothing sets them up for that better than you sending them this birthday card. Falling confetti, bright wishes. What else can one ask for on their special day? Make the day shine! 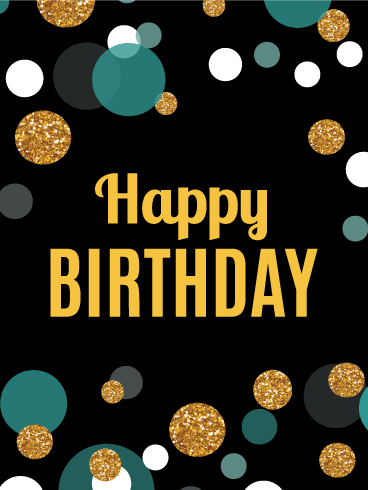 Compared to the other days of the year, birthdays shine brightly. Nothing shows that better than this birthday card! This boutique card provides high-contrast fun with its colorful words and elegant floral boarder. On the one day of the year where it's encouraged to stand out, show your loved one just how bright they shine by sending this card their way! 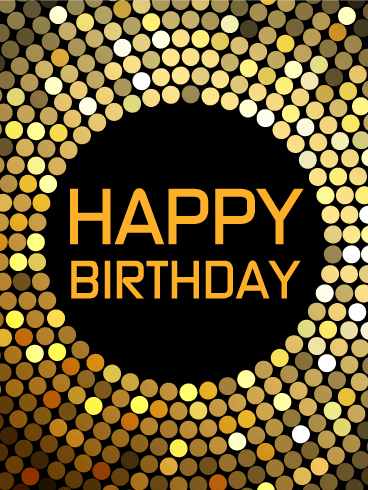 If it's your birthday, don't forget to make a birthday wish on a star and a candle! 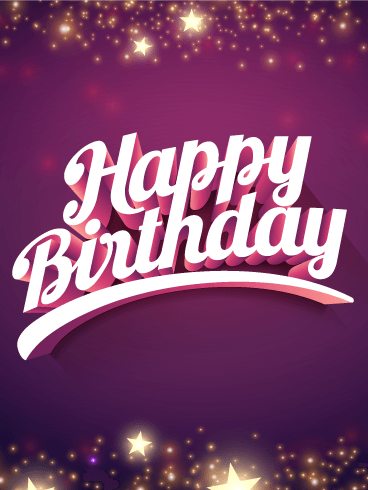 This Shining Stars Happy Birthday card is the perfect way to send your birthday wishes to the shining stars in your life! 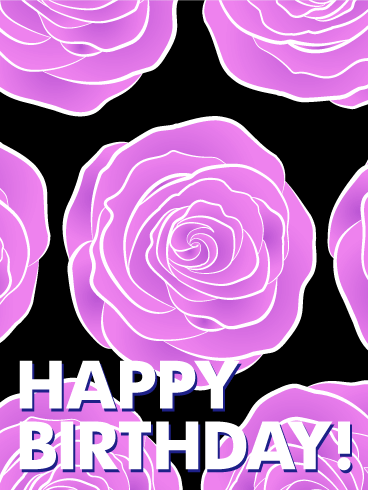 Bright, twinkling stars fill the top and bottom of the card and peek through the purple background. 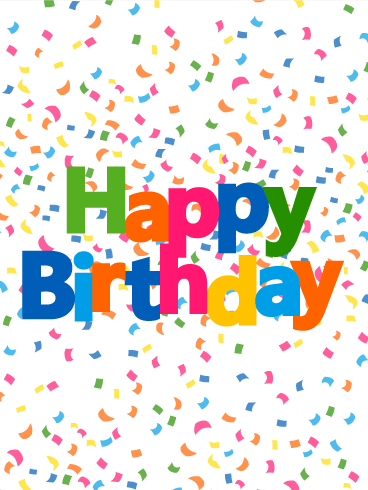 "Happy Birthday" is written in white cursive in the center. Your husband is your best friend. 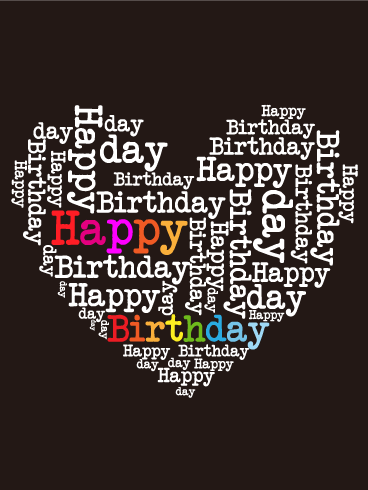 Send your husband all the love on his birthday to let him know you care and are thinking of him today and always. He is with you through thick and thin. Your constant companion and number one supporter. 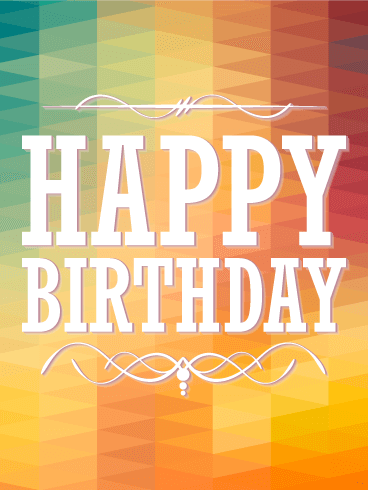 Celebrate your husband's birthday with this handsome greeting card. There is no better day to celebrate your husband's life than on his birthday! 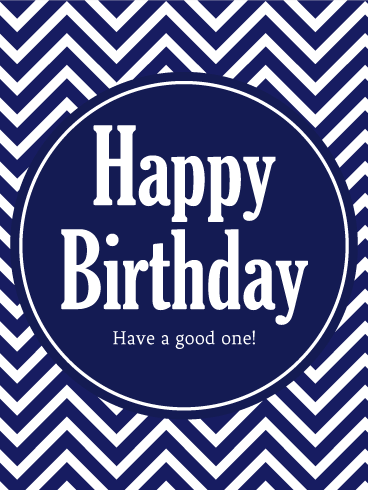 Send a great birthday card "for him" today. Sometimes people want the classics, but a little more refined. 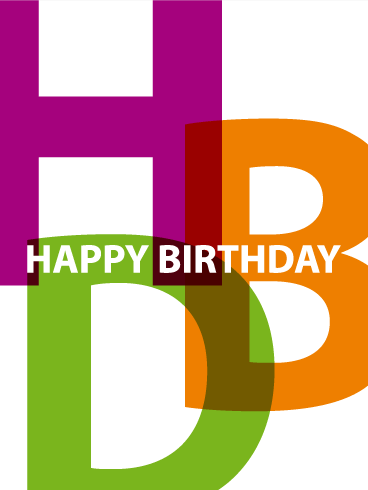 Looking for a birthday card that is simple but still cool? 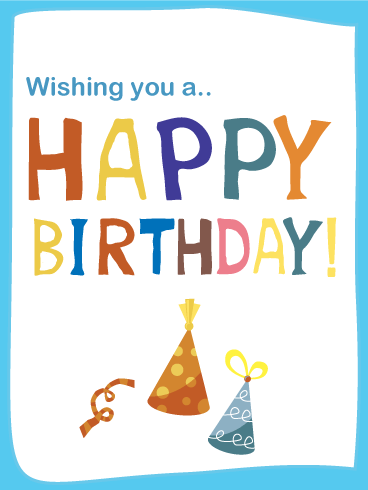 If so, this birthday card is for you. 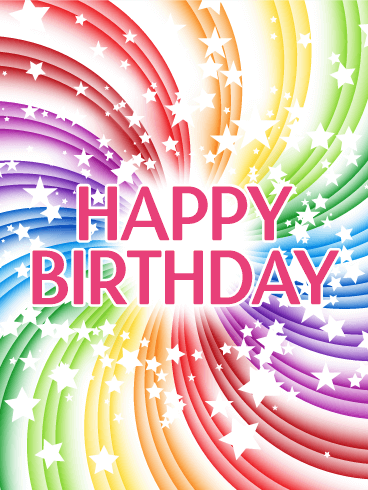 It's smartly designed with your happy birthday message centered over a sharp diamond rainbow gradient. The recipient of this card will feel like you get them and maybe they'll even admit that no one is too old for balloons and cake. Don't let your son's special day pass without letting him know how important he is to your family. 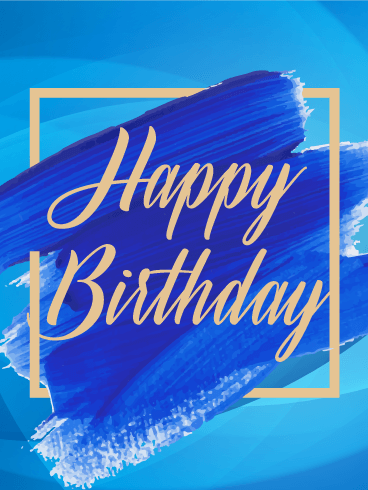 This Happy Birthday card features a blue, cloud-filled sky with blue and green balloons lifting a large note into the air. 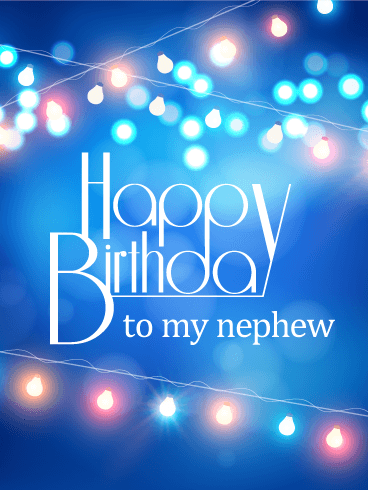 This birthday card is the perfect way to say, "Happy Birthday," send this card to your son on his birthday to show you care! Cute and cheerful! 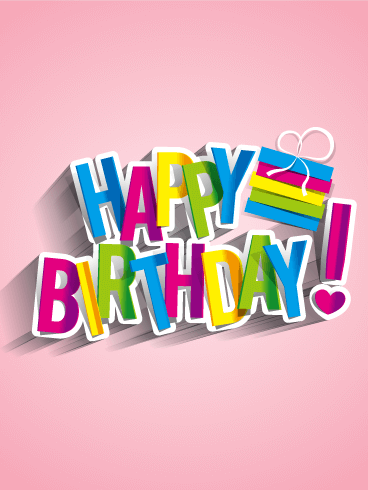 A rainbow splash of colors make up the birthday card on a sweet, pink background. And, how precious is that exclamation point heart? 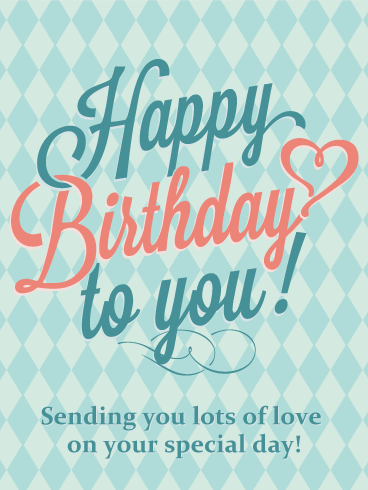 Send this card to your very best friend and wish them a fantastic birthday! 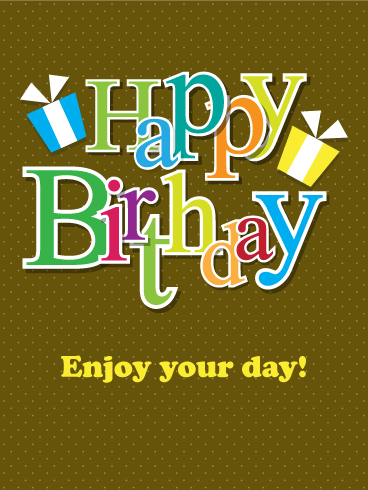 A stylish and sophisticated birthday card that sends warm wishes to the receiver. Like a beautiful tapestry with delicate, beautiful scrolling, this card is truly lovely. 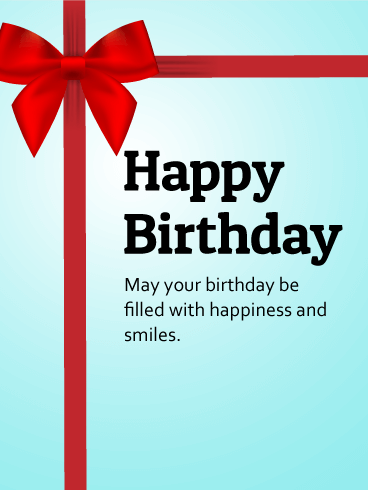 Say "Happy Birthday" to a great person in your life with this birthday greeting. A birthday should be one of the most exciting days in a person's year. 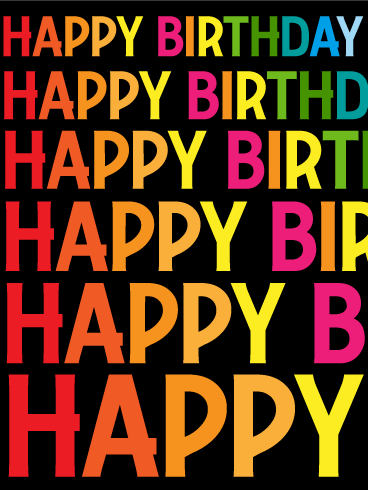 This birthday card expresses the fun and exciting moments of birthdays with colorful letters and birthday gifts. 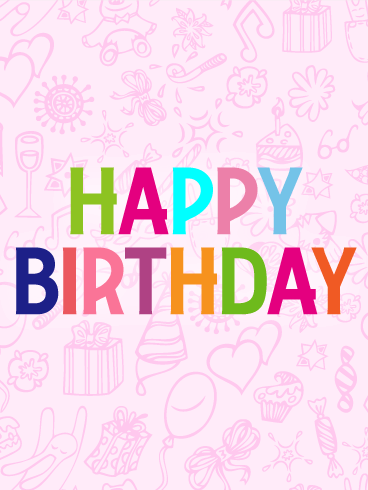 Make a birthday even more fun and enjoyable with the bright and happy card! Looking for a classy birthday card? 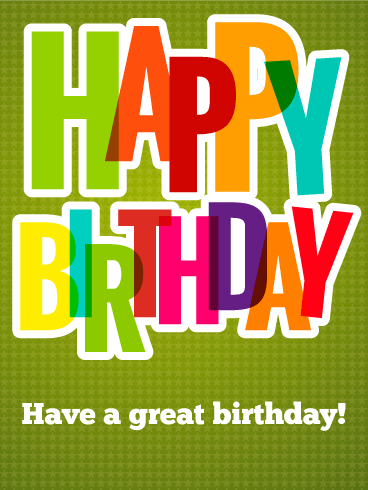 This card is stylish and perfect for someone who prefers receiving a nice and classy birthday card. If you feel like sending something unique and stylish, choose this card. 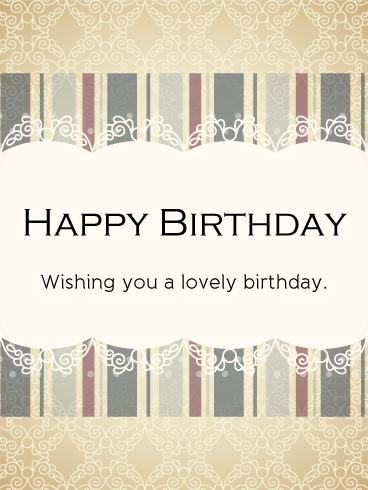 Looking for an elegant birthday card to send to a lovely friend? This card is perfect for her! 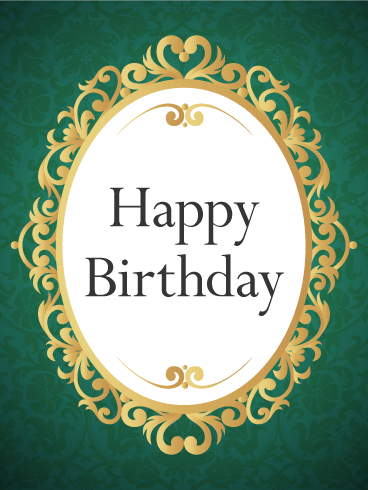 This card shows a great contrast of dark green and gold to set off its birthday message. Select this card to send your beautiful friend. A birth is a gift to the world. 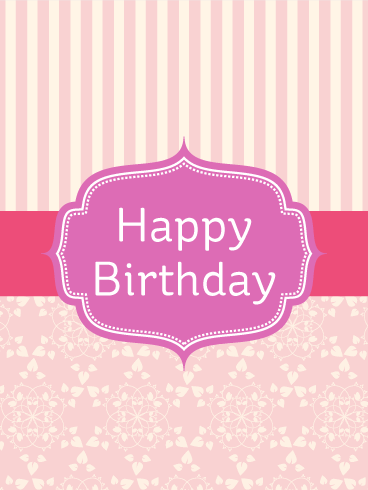 To celebrate such a special day, send this ribbon decorated birthday gift card. 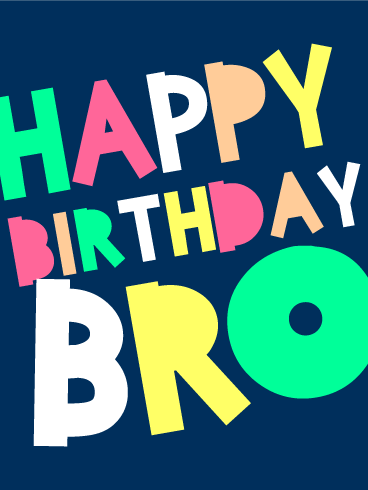 Wish that the birthday person's year is filled with happiness and smiles.